Donald Trump’s freewheeling style caused headaches even before he got to the White House, as staffers on “The Apprentice” had to frequently “reverse engineer” episodes of the NBC reality series because he would “fire” contestants at random. In a long profile on Mark Burnett and Trump in The New Yorker published on Thursday, Jonathan Braun — an editor during the first six seasons of “The Apprentice” — revealed to the magazine that Trump would often decide, on a whim, which contestant to “fire” at the end of each episode. 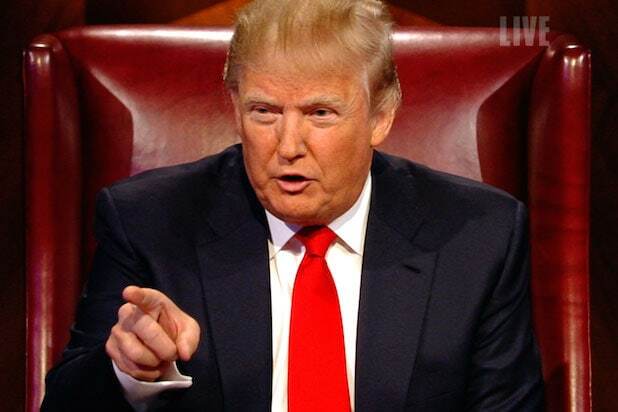 “The Apprentice” like most reality competition shows, featured a series of weekly challenges and Trump would decide who did the worst and eliminate that person from the competition. But Braun explained that Trump was often unprepared and would seemingly decide at random who he felt should be eliminated. That meant that, even if the “fired” contestant may have objectively had a good performance in the challenges, the editors had to go back and find ways to highlight how they may had messed up, Braun told the magazine. This deceptive editing, which happens in many reality TV series as a way to amplify drama, extended past Trump’s decision on who to send home. Katherine Walker, a producer on the show, told the New Yorker that they often had to edit his speech to make him sound more coherent. “We cleaned it up so that he was his best self,” she said. “I’m sure Donald thinks that he was never edited.” She did admit that Trump’s personality made him perfect for reality TV, which often thrives on personalities who are unpredictable. “We didn’t have to change him — he gave us stuff to work with,” she told the magazine. Braun added that he now sees this same sort of editing in reverse storytelling among those who work for the now-President Trump. “I find it strangely validating to hear that they’re doing the same thing in the White House,” he said. Read the full story in The New Yorker here.